The groundbreaking work carried out by NHS Genomics is under immense pressure due to infrastructure delays and diminished training budgets, according to an influential committee of politicians. A report published by the government’s Science and Technology Committee, Genomics and Genome Editing in the NHS, warns that the 100,000 Genomes Project – which has helped to establish the UK as a world leader in genetics – may not achieve its potential due to a number of obstacles. The delayed NHS digital infrastructure, a lack of staff training and concerns around the ethical collection and use of data – as well as the challenge of gaining public understanding and support – are threatening the delivery of the potential medical advantages of genomics. Norman Lamb MP, chair of the Science and Technology Committee, said that establishing a Genomics Medicine Service could dramatically improve health outcomes of UK citizens. He urged the government to invest in digital infrastructure on a wider scale, so that genomics can be rolled out across the UK. Similarly, he stated that genomics must “be embedded in all relevant training courses and medical revalidation processes” and called for additional funding for the latter. A further challenge is to ensure that the public understands and supports the concept of genomic medicine, especially because genomic medicine requires data sharing in a way that challenges the current NHS Constitution. Currently, 82% of the British public has either never heard of ‘genomics’ or has poor understanding of it, which could prompt them to refuse consent due to worries about the way insurance providers will use their information. The report also asked for a renewal of the Concordat and Moratorium agreed between the government and the Association of 20 British Insurers to prevent insurers from basing premiums on predictive genetic information. “The government must address the understandable public concern by developing a robust consent process and improving public knowledge about genomics,” added Lamb. Finally, the report proposes that the government and NHS investigate ways to integrate genomics data with other NHS information plus data owned by private companies, using data to generate income that can be reinvested in the NHS, while guaranteeing patient privacy. An evaluation of the 100,000 Genomes Project will be carried out with conventional diagnostics for certain conditions for the time being. 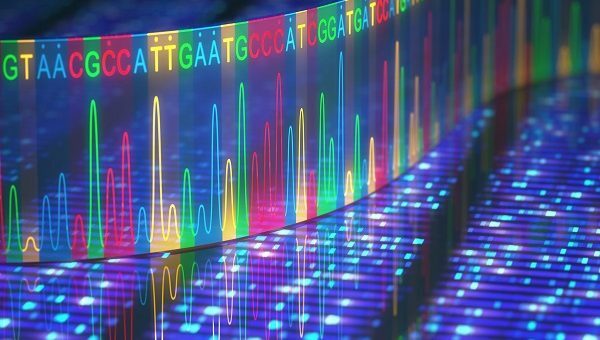 NHS England aims to establish an NHS Genomic Medicine Service later this year, making whole genome sequencing available as part of routine care for certain conditions.